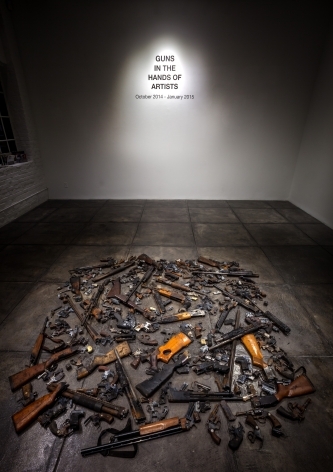 Jonathan Ferrara Gallery is proud to announce, Guns In The Hands of Artists, a community-based social activist artistic project. 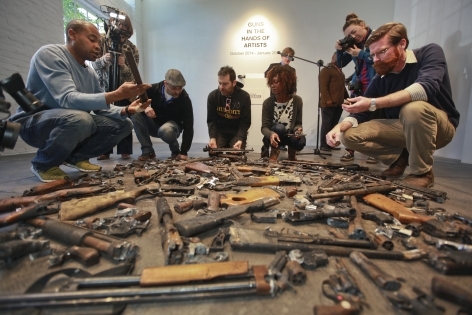 Decommissioned guns taken off the streets of New Orleans via a gun buyback program have been distributed to over thirty internationally known artists to use as the raw materials in making works of art dealing with the issue of guns in our society. The exhibition will open on Saturday October 4, 2014 and run through January 25, 2015 in conjunction with Prospect.3 Biennial. 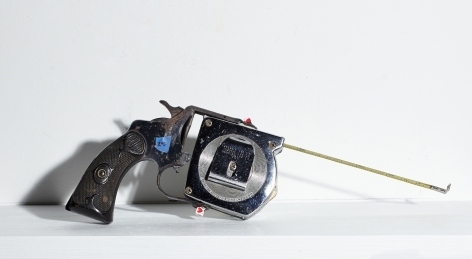 Art as the language for dialogue… Decommissioned guns taken off the streets were disseminated to artists to use as the raw materials in their art. Painters, glass artists, sculptors, photographers, poets, and other artists used the decommissioned firearms to make works of art. 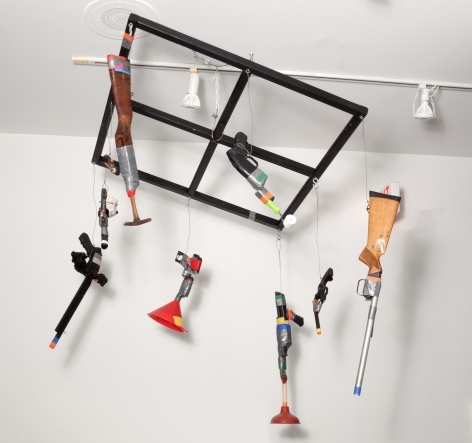 Each artist used the guns in their medium to express a thought, make a statement, open a discussion and stimulate thinking about guns in our culture. Gallery owner Jonathan Ferrara and Borrello mounted this exhibition at Positive Space The Gallery in September 1996 in the Lower Garden District of New Orleans. 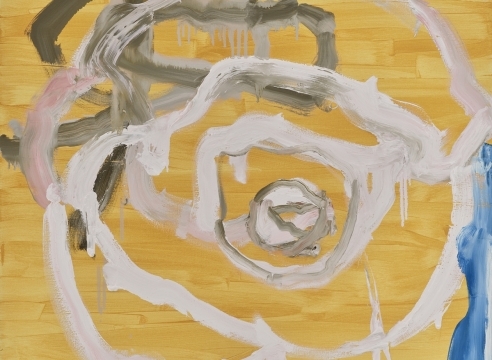 (Then) Pulitzer Prize-winning journalist Rick Bragg wrote an in depth feature article for The New York Times; Time Magazine covered the show and ABC’s Good Morning America flew to New Orleans to interview the artists, the producers and to film the artwork for a segment on national TV. Numerous other local and regional print, television and other media covered the exhibition and over two thousand people visited the show during its one month run. 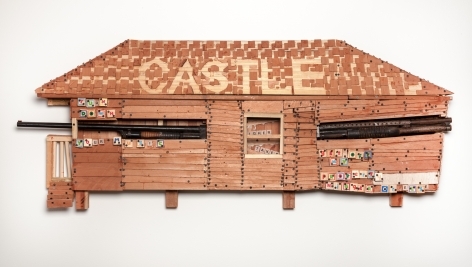 This pivotal exhibition started a national dialogue within the arts. With the backdrop of New Orleans and its sky-high murder rate, artists responded to the crisis and the country took note. 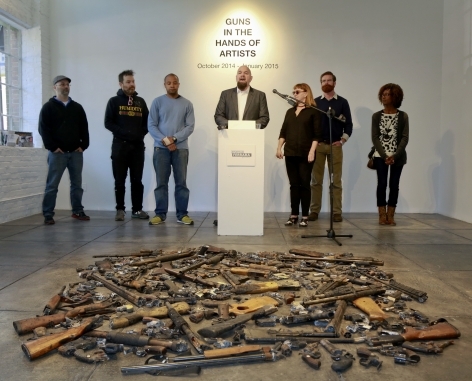 Since 1996, Guns in the Hands of Artists was activated in galleries, art centers, and gun trade shows in Washington DC and Portland, OR, and the project has inspired similar efforts in other cities nationwide. Over the past 18 years, gun violence has continued to be a major issue that affects the very fabric of American culture. Guns permeate the American landscape. From Sandy Hook to Central City, deadly violence is a daily occurrence in our society. From the kid on the street corner killed by a stray bullet to the mass murders at Columbine, guns and the people that use them are wreaking havoc on America. 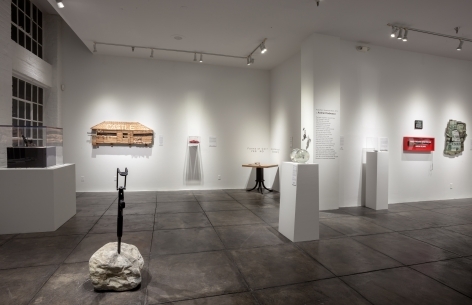 With the recent mass shootings of the past years and the still-high murder rate in New Orleans, artist/ gallery owner Jonathan Ferrara, the producer of the original Guns in The Hands of Artists project, has been compelled to revisit the exhibition and reopen the dialogue that was started many years ago. 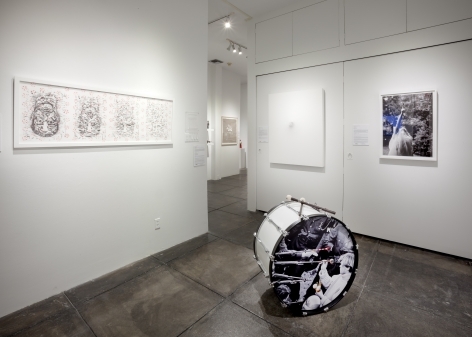 As an artist, activist and social entrepreneur, I asked myself, ‘What can I do to address this issue that pervades our society?’ said Jonathan Ferrara. Putting together this exhibition is my way of doing something. It’s my goal to use art and the creative process to facilitate new, frank dialogue about gun violence and guns in our society. By taking guns off the streets and channeling them to artists to use in their art, Guns In The Hands of Artists is a way of having a conversation about guns in our society without the often partisan and fever pitched politics around the issue. 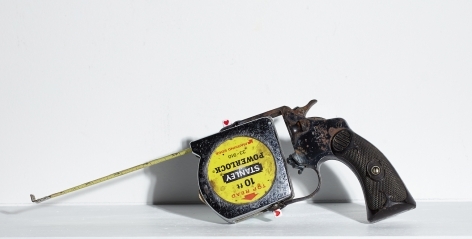 Artists will transform these once deadly weapons into works of art. 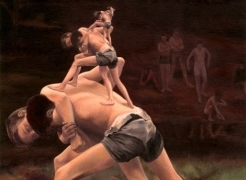 Art can comment, very poignantly, about a subject and make people think in a totally different way. In the 19th century, artists would paint the objects that would inhabit their immediate world, a bowl of fruit, or a glass on the night table... today that object on the bedside table may likely to be gun. In early 2013, Ferrara partnered with the New Orleans Police Department, the City Council and the Mayor’s office to secure 186 handguns and long-barreled guns, taken off the streets by the NOPD’s gun buyback program. Ferrara then invited (and challenged) over thirty nationally recognized artists from various geographies and backgrounds working in mediums such as painting, sculpture, video, installation, technology and photography to use the decommissioned firearms as the raw materials in their art. 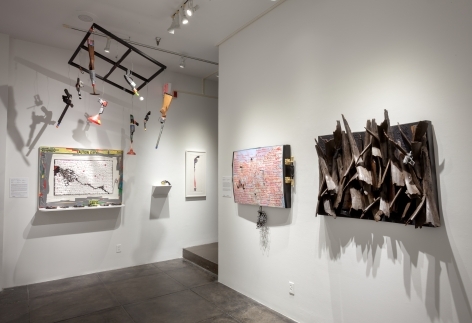 The resulting artworks will be exhibited at Jonathan Ferrara Gallery from October 3, 2014 through January 25, 2015 to coincide with Prospect.3 New Orleans Biennial, the largest biennial of contemporary art in the US. 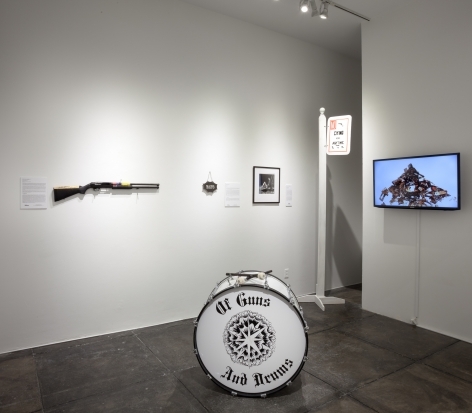 During the exhibition, the gallery will host panel discussions and other events to facilitate frank discussions and public engagement on the issue of guns in our society with the physical backdrop being the creative transformations of the guns by nationally known artists. 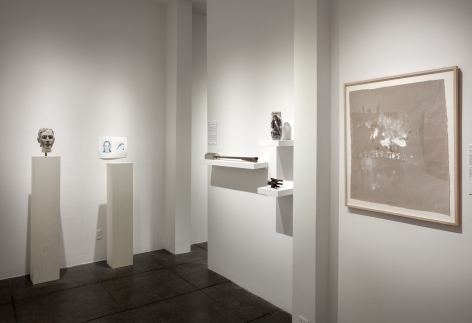 Several of the artists in the exhibition are featured in many of the country’s most prestigious museum collections including The Whitney Museum of American Art, Museum of Modern Art, Brooklyn Museum, New Orleans Museum of Art, and many have been in major biennials like The Whitney Biennial and Prospect Biennial, New Orleans. Education is a critical component the project and thus Ferrara has partnered with New Orleans’ Youth Empowerment Project (YEP), an organization that provides re-entry support to help youth who had been involved with the juvenile justice system to build healthy lives, steer clear of the justice system, and remain safe. The gallery and YEP will collaborate on two projects: a speaker/panel series and a youth-focused studio series. The speaker/panel series will encompass four different panels (one each month) covering different topics and feature different viewpoints presented by a cross-section of local experts, youth and community stakeholders. Panelists will include members of the Opportunity Youth Coalition, a group of Executive Directors from New Orleans’ youth serving organizations that work with the city’s most high-risk youth as well as local employers, youth and crime experts. To reach a national audience, the panels will be both live-streamed online and live-tweeted by participants and those physically in the audience. The youth-focused studio series will incorporate artists involved in Guns in the Hands of Artists and give youth engaged in YEP’s programming the opportunity to take part in small-group tours of the exhibition, artist studios, hear first-hand both about the artistic process and learn more about potential jobs within the art world. 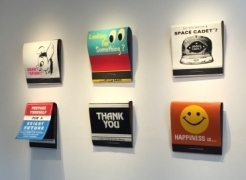 In addition, Ferrara has partnered with the New Orleans Police Department’s Crime Prevention Unit to facilitate a gun buyback during the exhibition. The gallery has committed $20,000 from the proceeds of sale of artworks from the exhibition to buy more guns off the streets and continue the cycle of turning firearms into works of art. The gun buy back will take place on Saturday November 1, 2014 from 9am to 7pm where Ferrara will be paying local residents to bring their firearms in to eventually be decommissioned by the NOPD…that same evening the gallery will host a public reception so that, symbolically, in one day, the cycle of guns taken off the streets and turned into works of art can be realized. 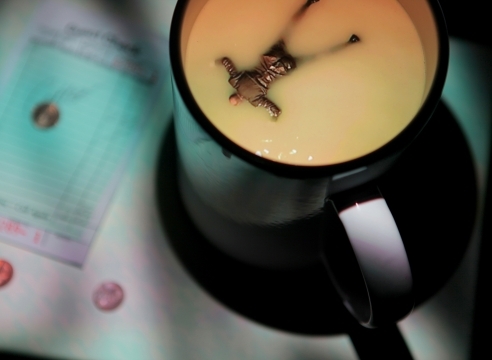 New Orleans has always been at the top of the “murder capital” list in the United States. This project presents a unique opportunity for the New Orleans to be positioned at the forefront of this national issue that plagues the city, but also, the country as whole. 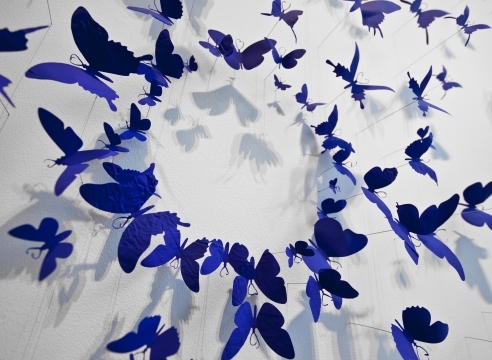 In the past eight years, New Orleans has become a national destination for contemporary art and a leader in the production of contemporary art. This exhibition spotlights the creative forces at work in the city along with the other national artists. It will showcase the creative partnerships that arise from the public and private sectors working together; Art as economy, social activism and entrepreneurism. 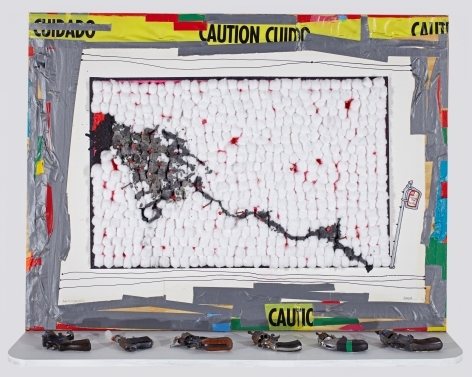 After its New Orleans debut, the exhibition will travel the country to museums, art centers and the like, furthering the conversation about guns in our society with art as the catalyst for dialogue. A documentary film about the project is being produced by Ferrara and filmmaker Jason Berry with video of interviews of participating artists, gallery walkthroughs, panel discussions, the gun buy-back and other collateral events during the exhibition. 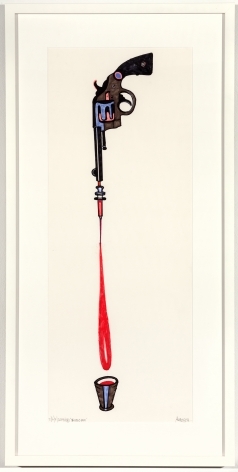 Guns In The Hands of Artists (2014) will be on view at Jonathan Ferrara Gallery from October 4, 2014 through January 25, 2015. 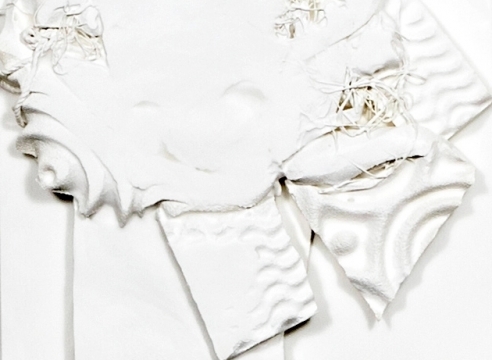 For more information about the project, the exhibition and for high-resolution images, please contact the gallery at 504.522.5471 or email info@jonathanferraragallery.com.